The digital age has ushered into existence an explosion of documents and other data. In fact, efficiently storing and managing documents, including a company’s fully executed contracts, can play a major role in the success of an organization. Although this task appears daunting to many professionals, advancements in digital technologies like OCR and the cloud allow companies to affordably and conveniently organize and access contracts more effectively and efficiently than ever before. While ContractSafe offers easy to use solutions for these challenges, we find that many of our readers are also interested in learning more about a variety of issues related to the topic of contracts. 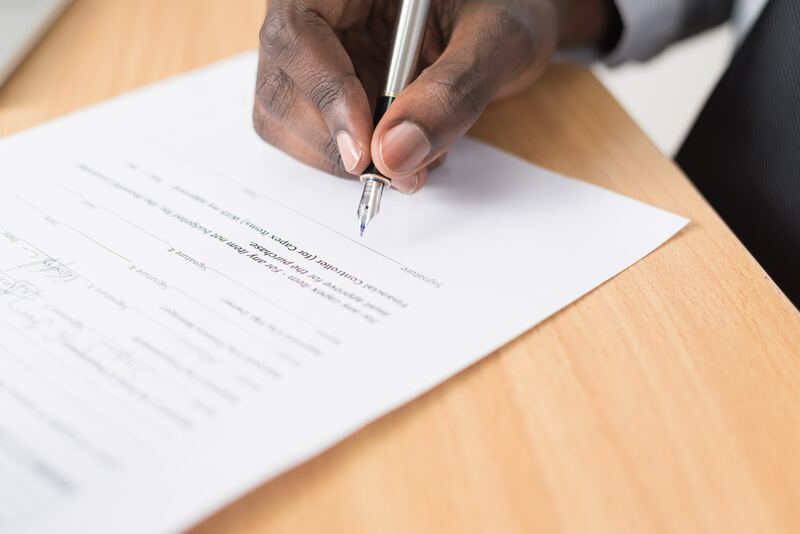 In this article we’ll discuss some issues surrounding the legal execution of contracts, starting with what a fully executed contract actually is. What is a Fully Executed Contract? Lawyers often make the simplest things sound complicated! In fact, “executing” a document often means no more than signing it. So, when is a contract fully executed? Basically, when all parties have signed it. With this in mind, there are many types of legally-binding, fully executed contracts. These agreements are generally between two or more people or entities and typically contain promises from each party to the other. Examples include vendor contracts; residential and commercial leases; mortgage agreements; employment contracts; real estate purchase and sale agreements; divorce settlement agreements; operating agreements; and consumer sales agreements, just to name a few. What if a Contract Has Not Been Signed? While in most instances a contract that has been executed by all parties is enforceable, what if a contract has not been signed by all parties? Does that mean that it is unenforceable? Or can one of the parties attempt to enforce an unsigned contract? The answer, which is surprising to some, is “it depends.” For example, sometimes a contract is enforceable if one party allows the other party to fully perform, even though they never signed it. In cases involving commercial sales, a contract may be determined to exist based upon the parties’ prior and current courses of conduct, even if they didn’t sign a document. In some instances, a court may determine a contract exists by cobbling together a series of communications between the parties. Finally, in some cases oral contracts are enforceable. On the other hand, some contracts are void unless they are in writing and signed. We will discuss this issue in greater detail in a future article discussing the Statute of Frauds. Truthfully, many people involved in business would prefer not to worry about the legalities associated with executed contracts and other aspects of contract law. That’s understandable, given the fast pace at which business moves, and the tediousness sometimes associated with contracts. But remember, it’s often true that an ounce of prevention is worth a pound of cure. Below are a few helpful reminders. Read all drafts carefully. Double check prices, dates, and specifications. Make sure the other party has included all of its obligations. Do not sign anything you don’t completely understand. Seek legal counsel if you have any doubts as to the contents of what you are being asked to sign. Remember, if a dispute arises, you may ultimately find yourself in court. If that happens, does this contract contain all the promises you believe the other party made to you before the agreement was put in writing? Once you’ve read over the agreement and everything looks good, it’s time to sign it. If any changes were made at the last minute by hand, make sure all parties initial the changes. Some contracts require a witness to be in attendance, and some require a notary public. Insist that all formalities be met. It’s vitally important to keep copies of the executed contract on hand at all times—and refer to them when necessary. With ContractSafe, you can let us do the work for you with an easy-to-implement and intuitive service that will not only store and manage your contracts when they're fully executed, but will also send you important contract reminders when you need them. In addition, ContractSafe uses automatic OCR to allow you to fully search any document, and to track a contract’s status both pre and post-execution, all in a completely secure and encrypted system. Now, that’s convenience. Agreement vs. Contract: What’s the Difference?